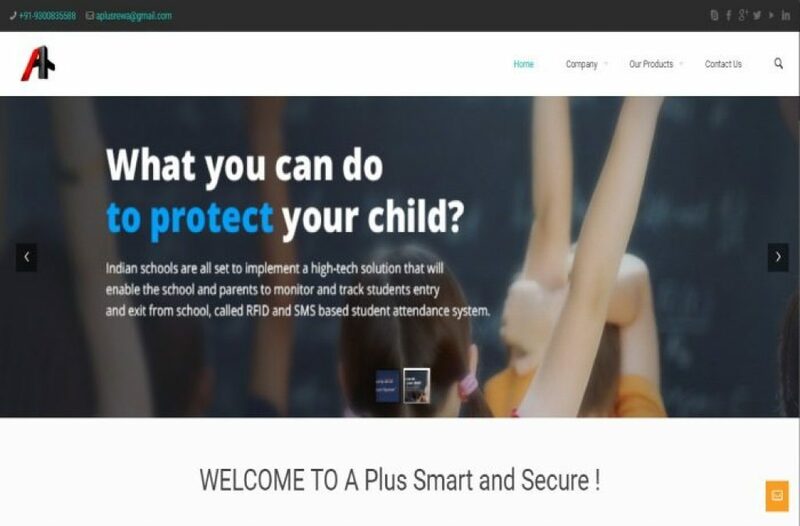 A Plus Smart and Secure is a pioneer in providing some excellent IOT devices in the name of RFID School Attendance Systems, School ERP Solution, and Global Positioning Tracking Systems. They have a vast customer base and a strong foothold in the main cities of India like Jaipur, Maharashtra, Delhi, and others. A Plus is known for offering customized software and hardware solutions to educational institutions based on their need. The whole system is ready-made and based on GPS and RFID system. Thier wide range of products includes Metal Detector System, GPS Vehicle Tracking System, ERP school management system and RFID Student Attendance Tracking System. What Problems does A Plus Smart & Secure Solve? As the name itself suggests, ‘A Plus Smart and Secure’ has stemmed out of smart ideas. They believe that there is always a smart way of accomplishing objectives. They have created a range of smart services that aim at upgrading the level of efficiency in our society and bringing it at par with the best in the world. They provide a solution for RFID, GPS, ERP, Smart Class etc.